Given our group’s interests in mammalian biology, we initially focused on gene annotation data from just three species — human, mouse and rat. 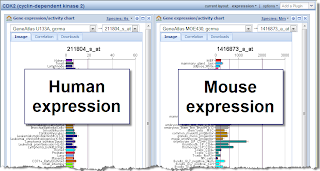 However, the plugin concept that BioGPS uses is easily extensible to other organisms as well. Therefore, we recently added four additional species to BioGPS (all popular model organisms), bringing our total count to seven. The added species were Drosophila (fly), C. elegans (worm), Danio rerio (zebrafish), and Arabidopsis thalania (plant). The key identifiers were drawn from Flybase, Wormbase, ZFIN, and TAIR, respectively. The addition of these organisms as supported species means that users are able to register BioGPS plugins based on those identifiers. But since our group doesn’t work in these organisms the number of plugins is pretty small (aside from the four above). 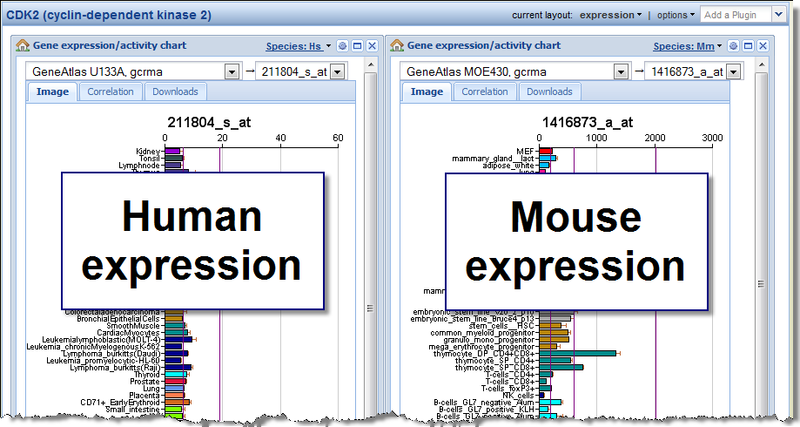 We welcome and encourage users to register the key gene annotation resources that we’ve missed. Finally, it’s worth reminding everyone that many plugins provide data for multiple species. To change the view to a different species, you can use the species selector in the upper right corner of each plugin window. For more info, take a look at the FAQ.